Today, I'm excited to announce another highly requested feature: required questions. It may seem like an obvious feature, but let me explain things a bit. Building a product that satisfies the need of the survey builder while doing its best to also respect the survey taker ultimately means some sacrifices have to be made. The folks building the surveys typically err on the side of trying to ask everything they can think of while the folks taking the surveys just want to finish the thing and get it over with. Not a great combo. 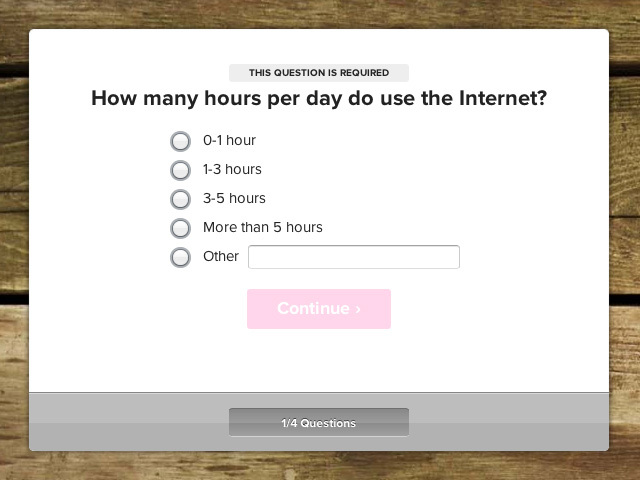 So our top priority at PopSurvey is providing tools that help survey builders create surveys that their users actually want to take…and that means some limitations on things (ie. multiple choice options, question length, etc). We've held out a really long time on adding the "required question" feature because our testing showed that it reduces completion rates as well as accuracy. People tend to either abandon a survey or just pick a random answer if they are required to answer something they don't want to. But at the same time, the overwhelming feedback is that this is a must-have feature for many of our users. And it's our job to find the right balance between all of this. So, here we are with the launch of this new feature! It's available to everyone on all plans now! We do suggest that you use this sparingly and remember that requiring a question will likely have an impact on your completion rates.